In 1902 several political activists left the Social Democratic Federation (SDF), an organization led by H.L. Hyndman, to form the Glasgow Socialist Society. Eventually, most of the members of the SDF in Scotland joined this new group. In August 1903 it was renamed the Socialist Labour Party (SLP). The organization that had been inspired by the writings of Daniel De Leon, the man who helped establish the International Workers of the World (IWW) and the Socialist Labor Party in the United States. Leaders of the SLP included John S. Clarke, Willie Paul, Jack Murphy, Arthur McManus, Neil MacLean, James Connally, John MacLean and Tom Bell. The SLP produced a journal, The Socialist, that was co-edited by Willie Paul, John S. Clarke, Tom Bell and Arthur McManus. 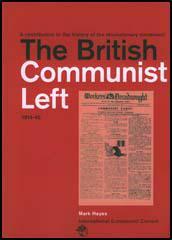 The journal advocated the importance of "revolutionary industrial socialism" and refused to work with reformist parties such as the Social Democratic Federation and the Labour Party. Instead the SLP concentrated on political action for propaganda purposes. The SLP was opposed to the First World War and played an important role in organizing workers during the conflict. In 1915 a group that included Willie Gallacher, John Muir, David Kirkwood, Neil MacLean and Arthur McManus, formed the Clyde Workers' Committee, an independent organisation of the rank and file. The CWC attempted to confront Government demands over dilution and conscription. In December 1915, McManus spoke at an anti-conscription rally in George Square, Glasgow. All the speakers were arrested on public order offences but were later released without charge. In February 1916 the CWC became involved in a dispute at Beardmores Munitions Works in Parkhead. The government claimed that the strike was a ploy by the CWC to prevent the manufacture of munitions and therefore to harm the war effort. On 25th March, Arthur McManus, David Kirkwood, Willie Gallacher and other members of the CWC were arrested by the authorities under the Defence of the Realm Act. Sir Frederick Smith was the prosecutor. Tom Bell argued that: "It is doubtful if a more spiteful, hateful enemy of the workers ever existed... he threatened to send them to the front to be shot." The men were eventually court-martialled and sentenced to be deported from Glasgow to Edinburgh. Tom Bell returned to Glasgow in 1916 and immediately became a member of the Clyde Workers Committee and joined in the struggle against the government. After David Lloyd George replaced Henry Asquith as prime minister the CWC issued a statement that "no proposals from Lloyd George be entertained unless the Government took over all munition works and gave the workers part control of the works management." Senior members of the CWC, including Willie Gallacher, David Kirkwood and Arthur McManus helped organize production in Beardmore's Mile End Shell Factory. Kirkwood later remarked: "What a team! We organized a bonus system in which everyone benefited by high production... The factory, built for a 12,000 output, produced 24,000. In six weeks, we held the record for output in Great Britain, and we never lost our premier position. John MacLean was opposed to this strategy. He wrote: "Lloyd George's purpose is to coax you to relax your Trade Union rules about non-union workers. The dangers... are the weakening of your unions and the lowering of your wages." Tom Bell agreed with MacLean and he concentrated his energies on improving the pay and conditions of the workforce. In 1917 he led a national strike of engineers and foundry workers in their demand for a forty-seven hour week. Bell joined forces with Willie Gallacher to form the Clyde Emergency Committee (CEC) to run the strike. Bell traveled to London and successfully carried out successful negotiations with the Ministry of Munitions. By the end of the First World War the Socialist Labour Party had over 1,000 members. In April 1920 most members the Socialist Labour Party merged with other left-wing groups to form the Communist Party of Great Britain (CPGB). 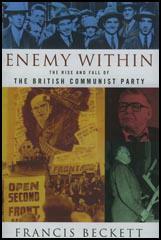 The new party included Tom Bell, Willie Gallacher, Arthur McManus, Arthur Horner, Harry Pollitt, John R. Campbell, Helen Crawfurd, Albert Inkpin, A. J. Cook, Bob Stewart, Rajani Palme Dutt and Willie Paul to establish the Communist Party of Great Britain (CPGB). McManus was elected as the party's first chairman and Bell and Pollitt became the party's first full-time workers. Although most members left to SLP to join the CPGB, it continued under the leadership of William Cotten and was not finally dissolved until 1980.